SKU: 32814883990. Category: Masks. Tags: Archery Tag, Black Panther, combat archery, mask, mesh, plastic, Protection. 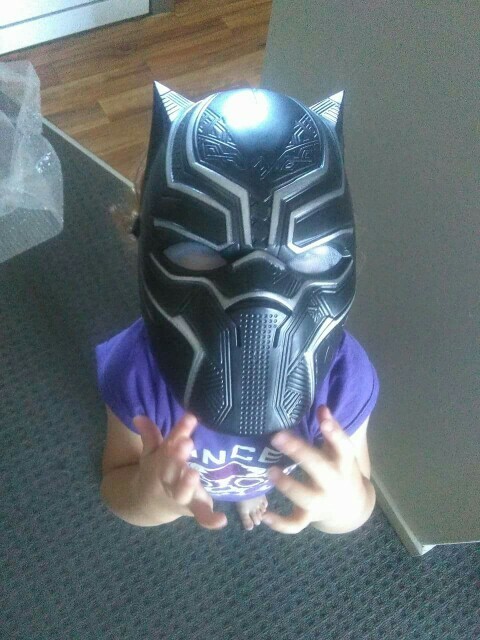 The Black Panther mask is a one size fits most adjustable mask specifically created for archery tag and combat archery games. It is made from heavy duty impact absorbent plastic, meant to take the hardest shots to the face. The padded mesh design allows breathable full ventilation while providing the upmost of comfort simultaneously. Learn the way of the panther and they’ll never see you coming! High Demand Volume. Limit 1 Per Order. While Quantities Last. The Ant Man mask was designed for the purpose of combat archery and archery tag games, but can also be used as a cosplay prop. This mask comes with mesh lens for maximal air ventilation and anti-fogging. Made from premium quality shock absorbent resin, you will never feel so good getting hit in the face. High Demand Volume. Limit 1 Per Order. While Quantities Last.